Did you know - 81% bloggers never make more than $100 from their blog? And, only 17% are actually able to sustain their lifestyle with it. Not very encouraging? No, the article doesn’t talk about the ill-performing tactics they used. Neither will it be an eye-opener for what they should’ve done instead. The focus of the article is to explore additional channels that truly stack up and add incremental $’s to your advertising top line. For most publishers, monetization stack consists of a bunch of ad-networks thrown together in a pot whereas marketing stack sounds like a jargon. Yes. Marketing stack to build and own your audience is a thing now. 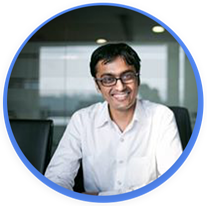 As a part of our customer development efforts, I speak with digital publishers, content creators, editors, bloggers on a daily basis. The only commonality in all these conversations is their constant struggle for revenues. If only there was a dime for every time a publisher said “plummeting ad revenues”. Chasing traffic, gathering a bag full of optimization tricks, creating fresh content to rank above the peers - somewhere became all in a day’s work for publishers. And, amidst the chaos, publishers failed to achieve the one thing that actually would’ve made a difference today, owning a loyal user base. In their defense, they did build a loyal audience - fans who liked articles on Facebook, hearted their photos on Instagram, retweeted their tweets on Twitter. But, they never really got to own their audience. Simply put, Ownership means - setting up a direct communication channel. Most publishers today have marginal or no ownership of the audience they serve. The absence of which drags down their only chances of ever having a metered paywall. What they own is where they invested their efforts at - Traffic. With walled gardens pretending to be a friend, majority of the publishers didn't think much about investing in “owning an audience”. Those who did and continue to do are now able to sustain themselves better than their peers. Meet Buffer and Guardian - who have been able to convert their users into paying customers and a thriving community. It helped them forge a relationship with their audience that kept their subscription counter ticking. This bit is disappointing. Editors work like a beaver on the editorial plans, testing headlines for articles, writing in-depth op-eds, bring in breathtaking facts but all this becomes a wild goose chase when the distribution of content gets limited to Facebook and Google AMPs (Accelerated Mobile Pages). Again going back to the first point, because the audience exists in a pre-packaged form on Facebook and Google, publishers barely make additional distribution efforts. Knowing that both Facebook and publishers share the same target audience, the same revenue goals, and still treating them as a friend in nothing but a mistake. Publishers have been silently witnessing the algorithm tweaks altering their share of revenue. Study conducted by Parse.ly on 600 publishers said there was a 25% decrease in the referral traffic from Facebook (includes facebook.com and Facebook Instant Articles). Putting all eggs in one basket is not a strategy that you should be building your business on. These are the average CTR’s for Display Ads on Google Adsense. The average CTR’s on Facebook ads across industries is 0.9%. A number of factors have driven this decline - but all said and done, display ads are hardly a growth area in digital media. 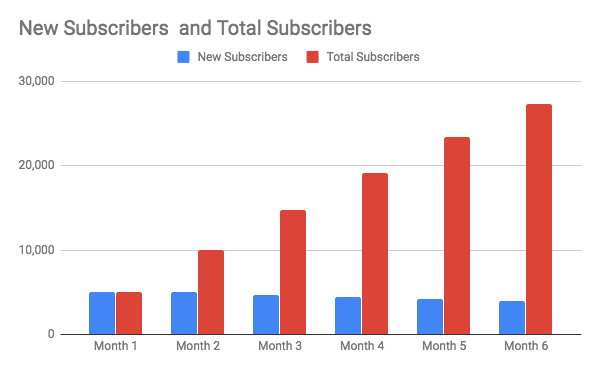 More and more publications are considering the subscription route but the movement to a subscription-based yet ad-free model is a model that is yet to evolve. Wait, But Why Web Push Notifications? Chrome first rolled out the web push API in April 2015 and since then businesses - commerce, saas, publishers have flocked towards this channel. Why? Because web push notifications get delivered in real-time, hence, unlike email, help publishers engage with their users anytime, anywhere. Notifications are interrupting, sure but that’s a topic we will cover another day. More importantly, unlike the walled gardens, publishers get to own their audience. Own their audience. Engage their audience. Build a real relationship with your readers. Let’s take a deep dive and understand how web push notification is a perfect lead bullet for publishers. Subscribing to web push notifications is a matter of one click. No forms, No personal details. Very little friction. The underlying idea is simple - if your visitors find your content valuable, present them with a simple ask - To subscribe to your notifications. They don’t need to necessarily commit - it’s just a click away. Given the notoriety of push notifications, a question that gets asked more than often is, what is the percentage of users who actually subscribe to notifications? The answer usually varies between 3-5%. Sounds promising? This is exactly what Pricebaba focused and in less than 18 months have been able to build a push notification subscriber list of over 1Mn. As your audience starts building you can kick-start engaging them with well-timed personalized notification delivering content that delights them and more importantly, drives repeat traffic to your website. The best part - because you own the audience, you get 100% control on who gets what content. Web push notifications are like the delivery guys that drop the courier (content) whenever, wherever, and to whoever you want. Web push notifications get an average click rate of 11-12%. So, update users with what’s new on your blog, breaking news, and what not - all in just a few clicks. Push Notifications now contribute up to 20% of the total traffic for publishers - reducing their overall dependency on Facebook and Google. Also, this incremental traffic directly results in incremental ad revenue. Win. Win. Google and Facebook fortunately or unfortunately are platforms which publishers have to depend on for traffic generation and monetization. 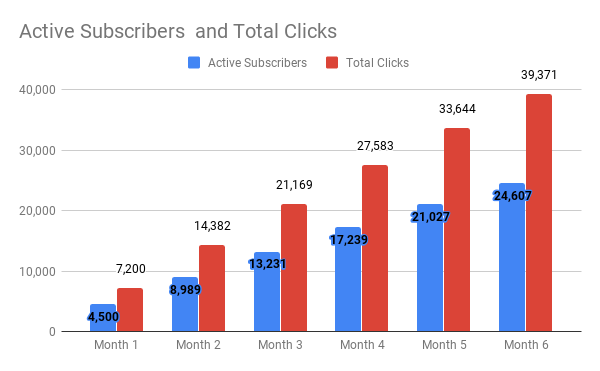 As publishers we need to create long term loyalty driving products with the help of newsletters, notifications, other innovations (At Bloomberg|Quint we have a news service on WhatsApp with over 400k subscribers and drives over 7-8 million PVs a month). For publishers in the long run a loyal audience is the only way to have a larger control over traffic and monetization." Incremental traffic directly generates additional impressions and impacts the revenue topline- you already know that. What though is more exciting is to tap into push notifications as a media inventory and use it to deliver native ad content. Native ads that engage users can now be delivered to your subscribers using push notifications. Better CTR’s implies better monetization. Not the conventional banner ads that users are blind to but notifications delivering native content. How Do Web Push Notifications Operate? For Chrome and FireFox, developers are required to register service workers on the browsers to ensure the notification smoothly gets delivered to the subscriber. Safari uses web push IDs as it does not support service workers. Title: One-liner that contains the prime message of the notification. A title (in Bolded format) is present at the top of a notification. Description: A description sits just below the title. It provides informative support to the title which can’t be too long. Call to Action Buttons: CTAs are located at the bottom. There can be at max. two CTAs per notification. Chrome is the only browser that supports a CTA, whereas, Firefox and Safari are yet to provide the feature. Banner Image: Web push notifications can have a banner image to make it look more attractive and visually engaging. 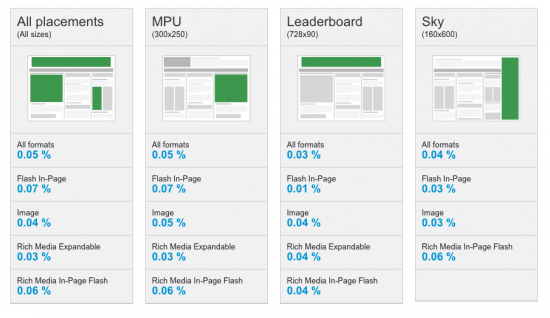 These images can assist a notification carry as much 189% more information. Icon: To make a notification gain more traction, a bell-shaped icon (by default) is used at the top-left corner. To build a better brand image and trigger emotions, publishers can use their logo. It also enhances the chances of getting recognized whenever a notification is pushed by you. 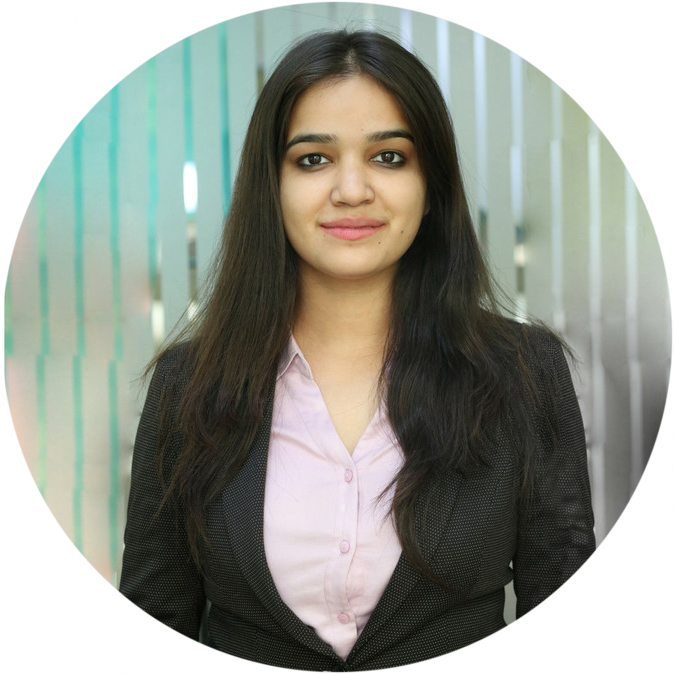 Neha is a Product Marketer @iZooto who works with a single focus of helping publishers grow faster and better. Coming from the lap of Himalayas, she is a theatre artist, who loves dropping gears to travel the mountains. When not in office, she can be found roaming in the streets of Delhi finding next good cafeteria to eat at.